Our hotel nestles 32 rooms with 3 different room types ranging from deluxe to family fitting for 4 people. All rooms are spacious with full and equipped with four star standardized facilities and amenities ensuring that our guests having comfortable stay after a tiring day on excursions to the world heritage sites of Angkor. 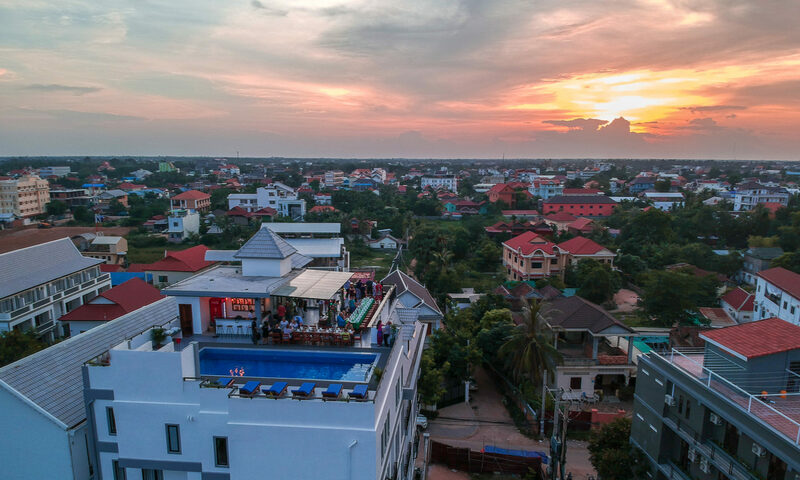 Angkor City View Hotel is proud of its rooftop sky bar and restaurant offering selective of food and drinks fit to both local and international guest either staying with us or coming from outside. Come and have have tasty foods cooked by our specialist cooks along with choices of drinks range from soft drinks to hard drinks. And we do not hesitate to recommend our cocktails satisfied by many of our guests.